The solid oak Penlan dresser and rack, perfectly proportioned with additional cupboards in the rack, also of North Welsh origin. 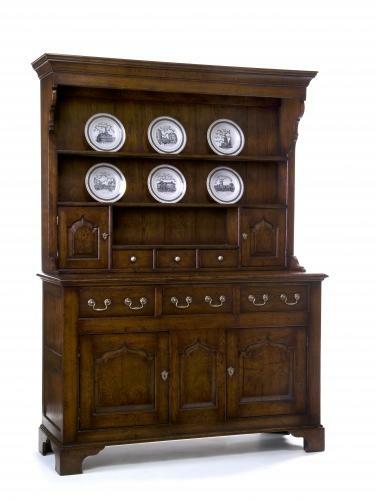 This neat oak dresser example features quite a large gap between the top shelf and the frieze, which encourages the practise of placing meat dishes above ordinary plates. Delivery is normally free within the Surrey area such as Guildford, Cobham and Farnham but please inquire.